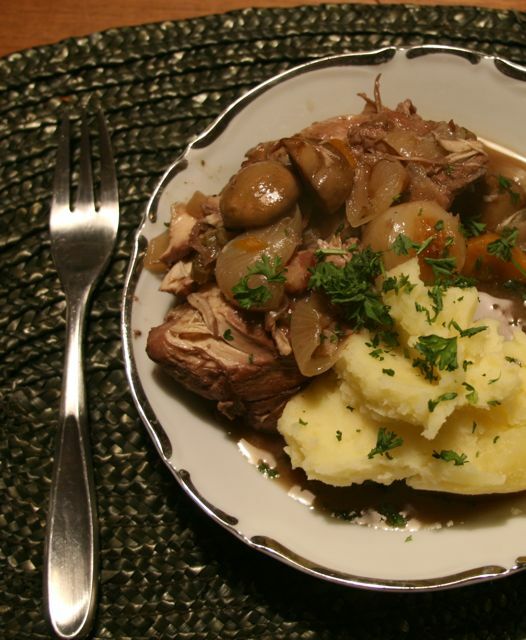 I’d been wanting to make a coq au vin for a while, especially since I have fond memories of working in a French restaurant in Toronto where the chef made a yummy one. It’s a classic stew; warm and comforting on a chilly autumn night. 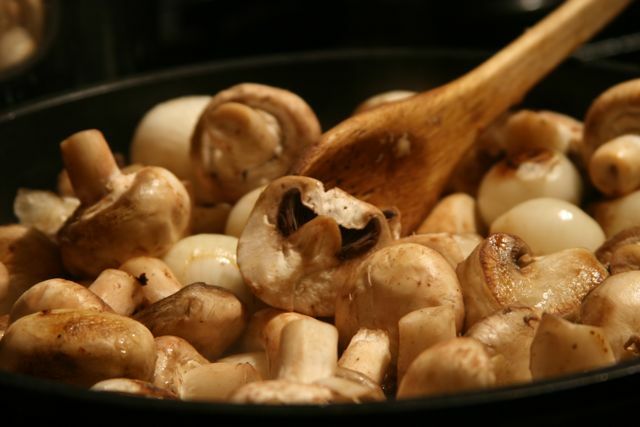 Melt another tablespoon butter or oil in a small pan, add the small peeled onions and then the mushrooms, halving or quartering them if they are too big. 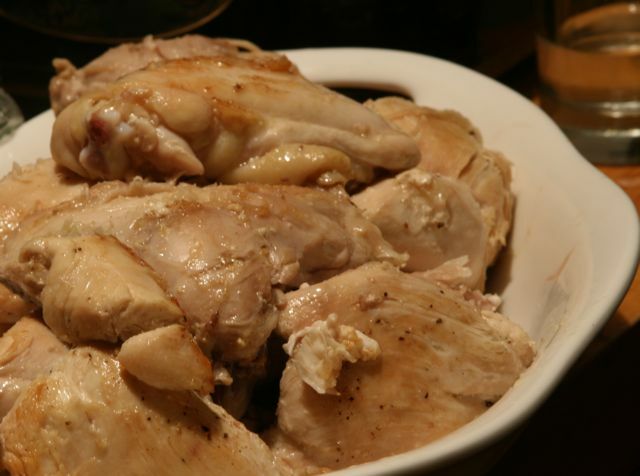 Let them cook until they are golden, then add them to the chicken with a seasoning of salt and pepper. This entry was posted on Thursday, October 1st, 2009 at 2:15 pm	and is filed under Uncategorized. You can follow any responses to this entry through the RSS 2.0 feed. You can leave a response, or trackback from your own site. Talk about being spoiled! But you deserve it… I get stay at home all day and you have to face the cold morning air every day. This way, you have a reason to go to work! So should we put the ”Coq au Vin” in the category ”Lunch”, funny !